Upgrade to Full Exclusive Use (no venue hire under this package) of all ground floor function rooms at any time by increasing to 80 guests at your wedding breakfast plus 80 guests having the evening buffet, with 40 of your guests staying overnight @ £75/guest B&B (guests pay for their own accommodation). 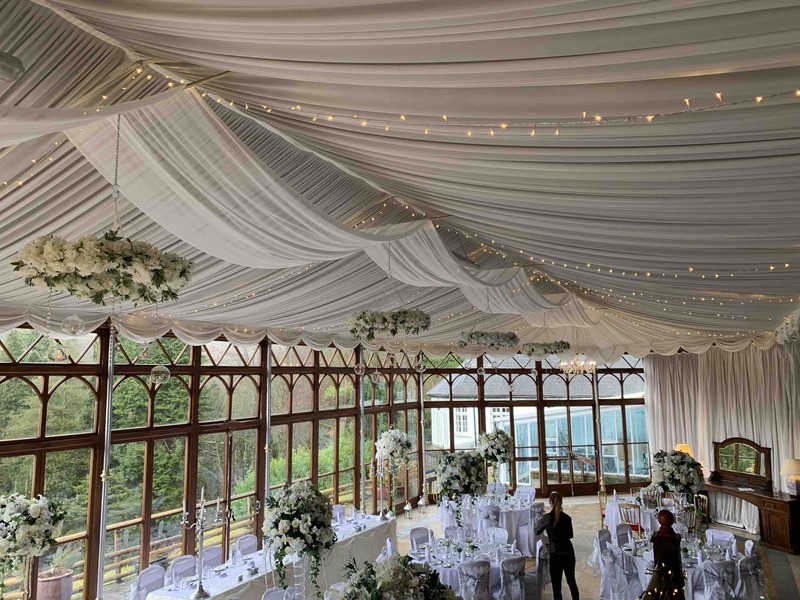 Last Minute Wedding Package 80 (LMWP 80) offers EXCLUSIVE USE of the ground floor function rooms (using the Conservatory for your Day room and the Function room for your Evening Room). Exclusive use does not include all the accommodation which we may book to non-wedding guests once you have reserved/booked your contractual minimum. Therefore, if you wish to book in excess of the minimum number of rooms you need to either have those guests call to book or give our Reception their details - see 'accommodation reserving' below - so we can reserve accommodation above the minimum requirement. NB: We only 'block out' 10 or 20 bedrooms (up to either 20 or 40 guests) under the Last Minute Wedding Package. The castle's bedrooms are not exclusive to you - only the function rooms specific to the Package you are on. We may have other 'B&B only' guests staying, including guests of a wedding the day after yours. If you need more rooms than the minimum, please 'reserve' additional rooms for named guests, then have them confirm their booking with us direct. Arrange a viewing ASAP. 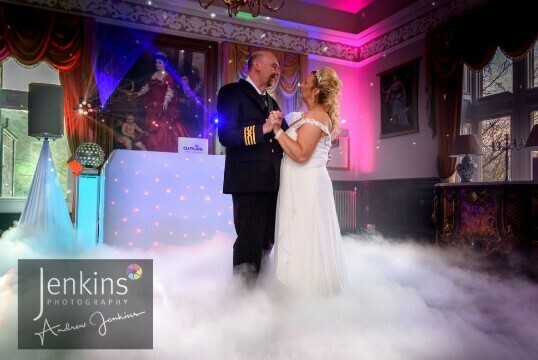 Once your Wedding Contract is signed and the £2,000 Last Minute Wedding Initial Value (£40 X 50 day guests = £2,000 only on April 2019 Offer) is paid in full, together with a monthly payment authority for the balance of your Last Minute Wedding Package (LMWP), your date is booked. Important Note: For short notice bookings check the availability of the Registrar on 01597 827468 - this number is available Monday - Thursday between 0915 and 1645 or until 1615 on Fridays. For any short notice wedding, check the earliest date you can legally get married. Also check the times they can marry you as they'll have other venues to attend on the same day, affecting your ceremony time. subject to the Initial Value being paid no later than 3 months prior to your wedding date. Additional guests and all extras are then paid for two weeks before the wedding date. Check OUR availability here - see 2019, or 2020 - before calling the registrar. Book your viewing by completing the viewing form or by phoning 01639 731167 between 09.00-20.30 hrs. Nearer the date, we finalise your numbers and you make a top-up payment for any extra guests added, and book the balance of any guest rooms (see 'terms' above) not yet booked direct by your guests. Start at 50 guests for your wedding breakfast and add extra guests at £45/head (£40/head on April Offer). 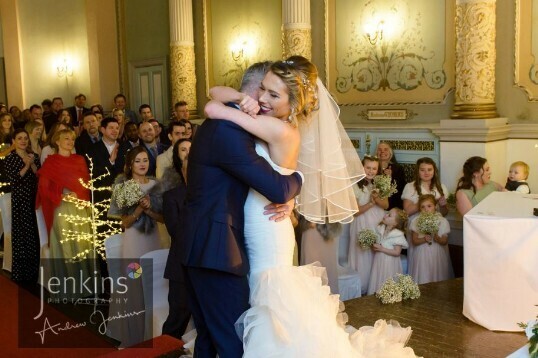 Upgrade to free Exclusive Use of all ground floor rooms, including Function Room and main Bar for your evening party, by inviting 80 guests to your Wedding Breakfast and 80 guests to your Evening Buffet, with 40 guests staying overnight. You guarantee 20 guests (not including Bride and Groom) staying overnight who will pay their own accommodation at £75 per guest B&B for one night, based on two adults sharing an en-suite. Optional 2nd night discounted to £35/guest based on two sharing an en-suite. Guests pay for their own B&B. 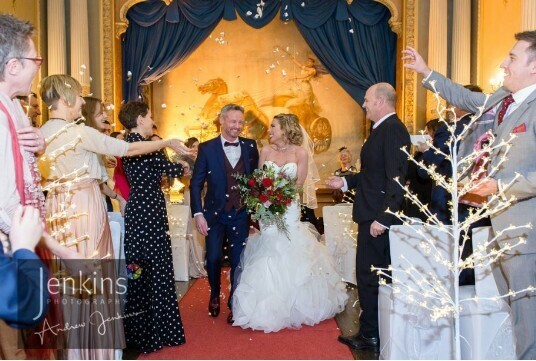 You gain free exclusive use of the Conservatory for your Wedding Breakfast, the Theatre Ceremony Room for your wedding Ceremony and the Nicolini and Breakfast room lounges. If your numbers are below the starting level for this Package, you may still secure this package by paying a top-up so you meet the minimum spend on Day Guests and B&B usage. Last Minute Weddings are non-transferable and all payments will be forfeited in the event of cancellation. 1. 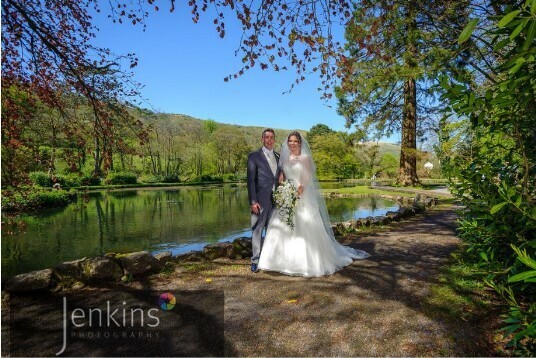 If you find any competitor wedding venues on our competitor comparison page are offering an equivalent package for the Wedding Breakfast and Venue at less than the Craig y Nos Last Minute Wedding Package, and you can show us a link to their on line offer/or provide a quote by email or in writing where they are charging less than us, for a wedding within the same time period, we will match their best rate. 2. The competitor must be listed on the competitor comparison page above and must be a proper recognised 'wedding venue' - not a pub! (If you find a competitor venue we have not included on our comparison page, because we have not completed the list yet, we will probably add them). 3. The competitor venue must be at a lower rate per head than us, including their venue hire fees, for the equivalent package, and we will then match their rate. 4. You must also meet the terms of the Last Minute Wedding Package (Relevant minimum number of guests at your wedding breakfast with min. 20 staying overnight). 5. Our best value guarantee extends to any offers under a competitor's standard to the public rate but does not include any “Discounted Deal Sites or Voucher Codes or sales by 3rd Party Merchants". If you are booking a Last-Minute Package, you may have many guests travelling from some distance away from our Castle. Some guests may wish to stay with us the night before your wedding. You can even book a pre-wedding gathering with close friends before your wedding date. Everyone can relax and settle in before your Big Day. If both the Friday and Saturday are not yet taken you can arrange a full weekend. This can work in two ways. 1. you book the Weekend Exclusive Wedding Deal for a minimum of 70 guests staying over for two nights. This is a Premium Deal applicable to large weddings with all guests travelling from a distant location to the castle. It gives you full exclusive use of the whole castle for the whole weekend. 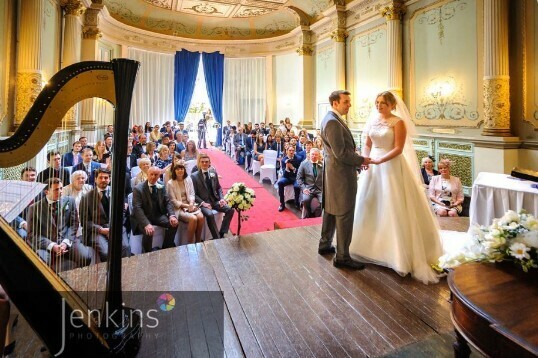 2. you book a Saturday Last Minute Wedding Package for a minimum of 50 day guests. You guarantee a minimum of just 20 staying overnight on the Saturday. You have an option to reserve rooms at half price for up to 20 guests on the Friday, the night before your wedding. 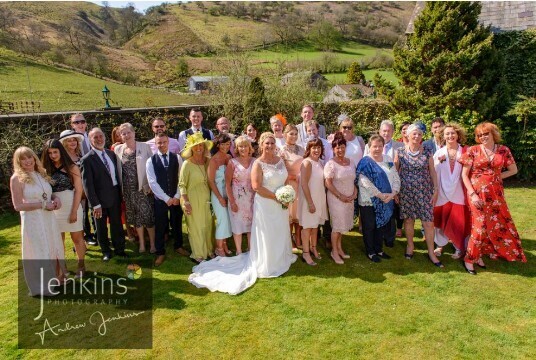 If there is another wedding on the Friday, as long as it is showing as a Last Minute Wedding (PINK) on our Availability Chart then if they are not using all the rooms, you can reserve up to 20 guests into the bedrooms the night before your own wedding, on the Friday. Guests staying two nights in the same room pay half price on the night before your wedding. Just check with our reception first, in case the Friday Last Minute (Pink shaded) wedding needs more accommodation than their 20 overnight minimum. If you wish to hold a pre-wedding party in the function room on the Friday, this may be arranged in consultation with the Friday wedding. Normally we are unable to serve evening meals to guests when there is a wedding booking on, but if you have a large enough party of guests (20 or more) wanting to stay the night before your wedding, we can offer a buffet / curry / group meal in the Function room for your party, separate from the other Event. 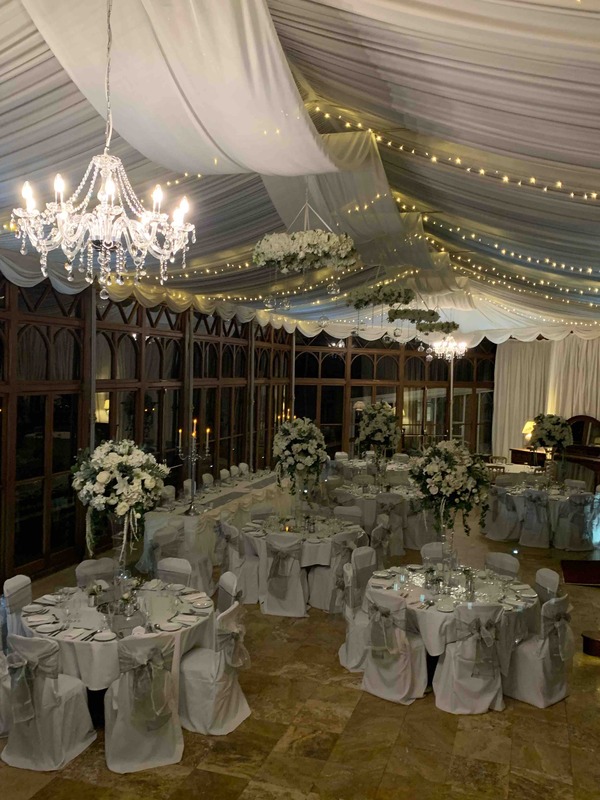 This is provided the wedding before yours is staying in the Conservatory day and night. Your wedding planner can advise you on this. You may also wish to arrange a few activities on the Friday - see ideas for Friday activities here.